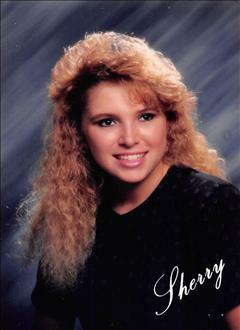 Sherry Denise Stidman, a resident of Preston passed away on August 4, 2015 in Shawnee, Oklahoma at the age of 42. She was born to Phyllis (McKee) Stidman and Dwaine Stidman on July 14, 1973 in Henryetta. Sherry was preceded in death by her maternal grandparents, Virginia & Elmer MCKee, paternal grandparents, Faye & Loyd Stidman, uncle, Gerald Stidman, cousin, Ladonna Benear, and her niece, Holly Rhodes. Pallbearers will be Larry Benear, Buddy Stidman, Robert Rainford, Jimmy McKee, Jr., Rusty Snyder, and Mike Adams. Honorary Pallbearers will be Dylan Wright, Christopher Stidman, James Stidman, Jim McKee, Sr., Wes Wegley, Donnie Stidman, Jason Stidman, and Steven Diamond. A funeral service is scheduled for Monday, August 10, 2015 at 2:00pm, at Dewar First Baptist Church with Rev. Ryan Wells, officiating. Interment will follow at Salt Creek Cemetery. Services are under the direction of Integrity Funeral Service.